A New Jersey shore restaurant is fighting back against a customer who posted a video of a worm crawling out of a piece of fish. In a Facebook post, people at the restaurant criticize customer Jim Guinee for trying to "destroy'" their "reputation and possible livelihoods" and say they stopped serving the cod dish after the worms were discovered. 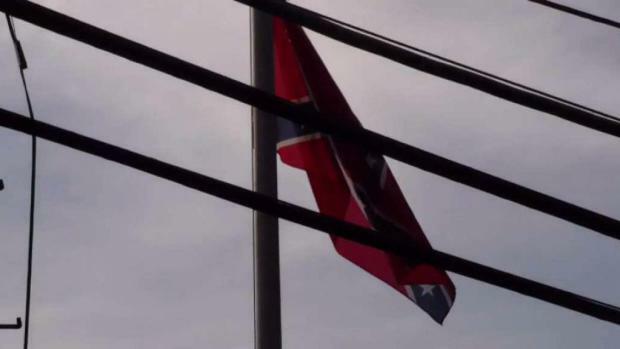 A confederate flag was raised over a shuttered hotel in New Jersey, leading a veteran to replace it with a set of stars and stripes. Jen Maxfield reports.